Rene Magritte is a Belgian surrealist painter best known for his use of simple and familiar everyday objects juxtaposed with each other producing a thought provoking imagery. He is best known for images such as a man in a bowler hat, pipes, levitating rocks, objects with human features and his iconic apple. He was born in Lessines, Belgium, on November 21, 1898. Rene Magritte is the eldest among the siblings. Their family is engaged in the manufacturing business, which made his childhood generally comfortable. However, financial difficulties were always at bay, which urged them to relocate to Belgium. In 1912, their family was struck by tragedy when his mother committed suicide. This unfortunate event is what harnessed his love for art especially because he found peace and solace in films, novels and painting. Magritte was fond of the impressionist style. In 1916, Magritte went back to Brussels, and attended the Académie Royale des Beaux-Arts where he experienced new and various styles such as cubism and futurism. This altered the course of Magritte’s work where he showcased a lot of influences from Pablo Picasso, also known for cubist pieces, as reflected in his early works. Magritte’s surrealist style is largely inspired by a poster he saw when he was working in a wallpaper factory entitled the Song of Love created by Italian surrealist Giorgio de Chirico. He was inspired by the imagery he saw in the poster and incorporated it in his later works. 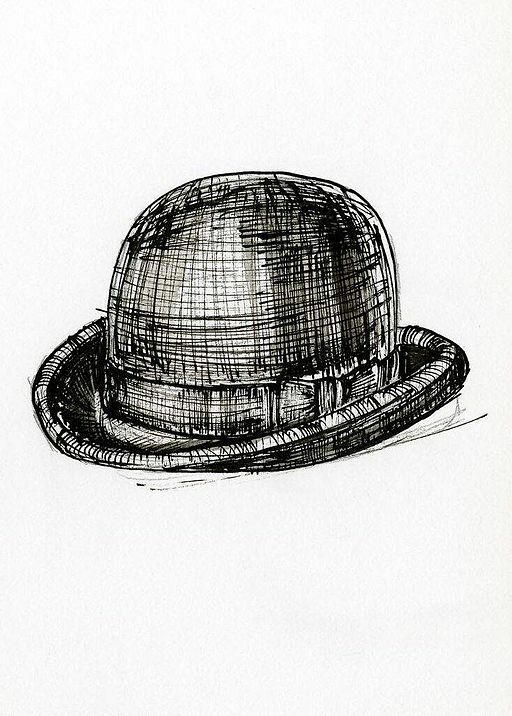 Magritte’s best known work is The Treachery of Images. He describes his work as, “If the spectator finds that my paintings are a kind of defiance of ‘common sense’, he realises something obvious. I want nevertheless to add that for me the world is a defiance of common sense.” This masterpiece was painted when Magritte was 30 years old in the 1920s. It is part of a series that incorporated words in his art reminiscent of children’s books. He was experimenting with his style by incorporating text in his paintings. This captures the very essence of The Treachery of Images where a pipe was painted at the center with the caption below saying, “Ceci n’est pas une pipe” which translates to “This is not a pipe.” Magritte explains that the image in his painting is definitely not a pipe, but rather, an image of a pipe. In this masterpiece, he is challenging the notion that objects always parallel to imagery and words that describe them. Another popular work of Magritte is a self-portrait, The Son of Man, showing a man in a long coat, wearing a bowler hat standing in front of a short wall with a green apple covering most of his face. The man’s eyes are seen to be slightly peeping through the edges of the apple. Magritte likened the apple covering the face of the man to what is apparent and visible at the same time covered or hidden. For Magritte, “it’s something that happens constantly. Everything we see hides another thing, we always want to see what is hidden by what we see. There is an interest in that which is hidden and which the visible does not show us.” For him, this need to unravel the hidden arouses intense emotions which his art generates from its viewers. The artist died on August 15, 1967 due to pancreatic cancer and complications. 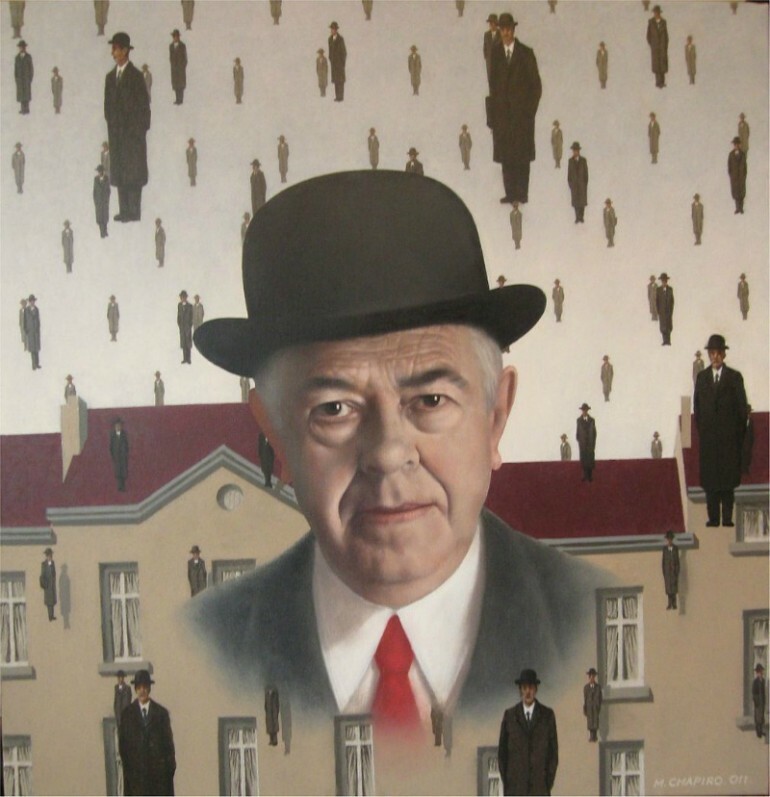 Rene Magritte proved to not only be a surrealist icon but also a major influence in the pop art movement. He was a major influence to Andy Warhol, the artist behind famous pop art masterpieces such as Campbell Soup Cans, Green Coca Cola Bottles and the Green Car Crash or the Burning Car I.